OAKLAND, Calif. (KGO) -- The Bay Area's very own "royal family" is being featured in Parents Magazine. 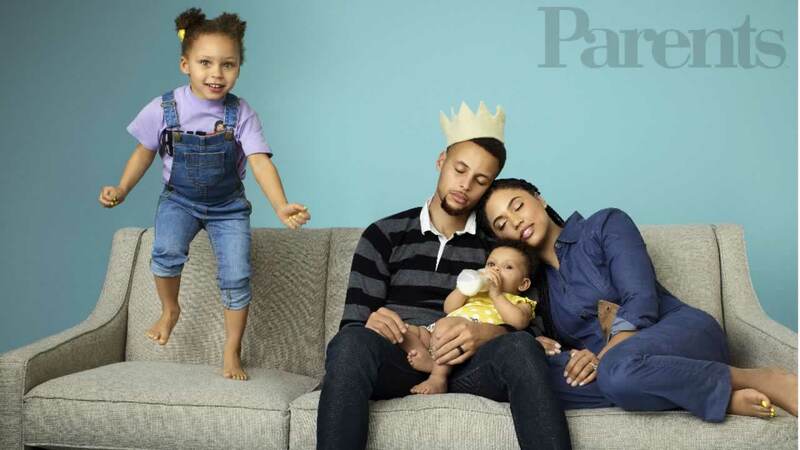 The cover photo is too cute -- Steph, Ayesha and 10-month-old Ryan Curry look absolutely adorable relaxing on a couch together, with 3-year-old Riley bouncing around next to them... typical! 'Good Morning America' will have an exclusive look at the shoot and interview with the Warriors star and family for all of the Curry lovers out there, airing at 8 a.m. on ABC7.